If you’re looking for the perfect pair of flattering earrings, there are at least two things you need to keep in mind—this accessory serves to highlight the face and match your outfit at the same time. There are a few rules you need to learn to decide what earrings suit and compliment your face; the following are a few suggestions that should help that process along. Remember you’ll need to avoid dangling earrings if you don’t want to accentuate the other signs of aging. Ones that fit closer to your earlobe draw attention to your eyes and are a better choice. Bright colours are another great feature you should be looking for and that’s where our Festive Oyster Shell offering comes in. 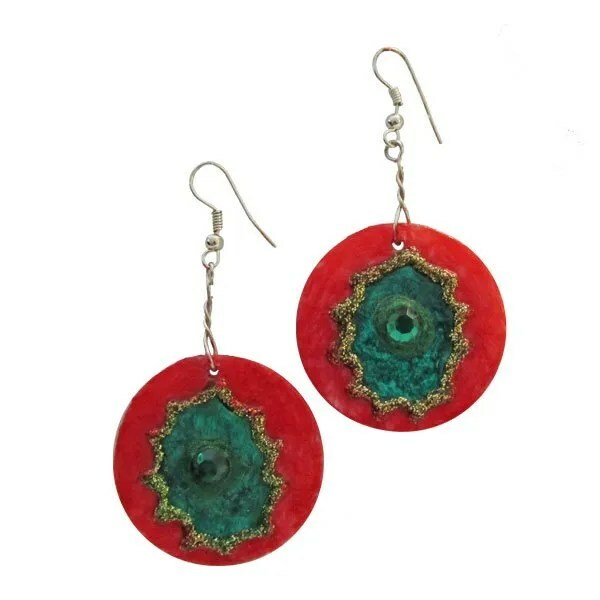 These are hand painted with bright red and green Cream Silk paints and make an excellent statement. If You Want To Highlight Your Face. If you have a square face and jawline, it’s a good idea to choose earrings that are oval to soften your appearance. Remember that the eyes of someone looking at your earrings are drawn to the point where that piece of jewellery ends and it’s important to avoid any choices that dangle lower than your jawline. For other hand painted and hand crafted jewellery, please visit The Craft Corner. 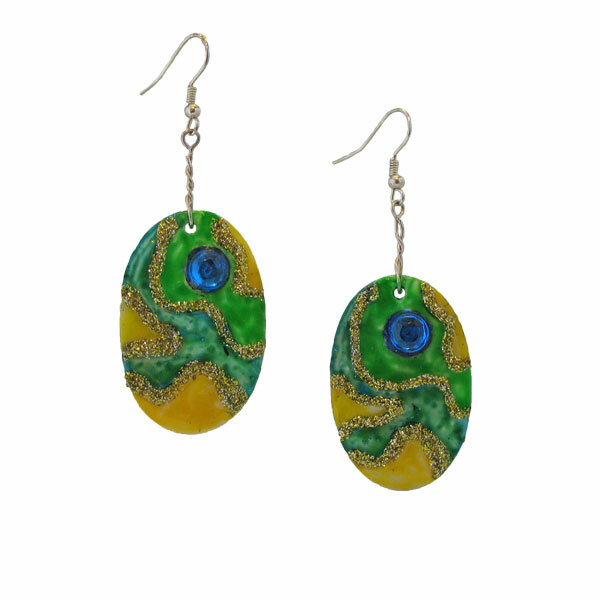 This entry was posted in Hand Painted Jewellery, Jewellery, shell earrings and tagged Hand Painted, oyster shell jewellery.